Ready to hang directly from box! 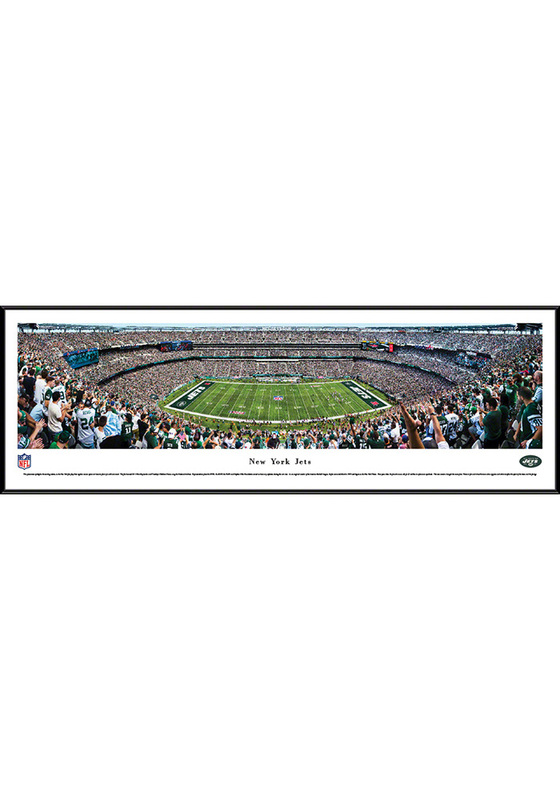 Show off a piece of your New York Jets pride with this New York Jets 50 Yard Line Standard Framed Posters. This Framed Posters features a panoramic view of MetLife Stadium. Go Jets! I received this as a gift, and it now hangs in our basement. This is a perfect size for a panorama stadium picture. It makes a great statement piece for any room. Great picture and sturdy frame. Love the unique shape of the picture. Accents my room well.